We give our best pricing up front. You could benfit from not only the best price, Eurostoves renowned nationwide customer service. But also the longest warranty. Some will be thinking, do I need to be a working chef to use this range? Well, the simple answer is NO. I feel very confident in saying EVERYONE will cook better using this range or cooktop just by cooking the same way as you always have. Whilst your skill level might not change, using this range will improve your results. If you have a better tool for the job, your cooking will improve. 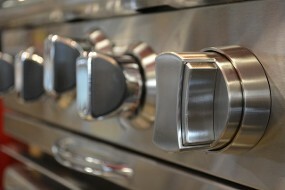 If you love to cook, your options have always been limited to one or two ranges based on features and cooking ability. Well, now you have one more option to research. 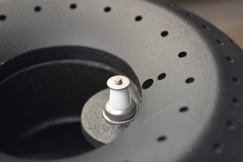 If your wish list contains any or all the following.... excellent cooking features, easy to clean, low maintenance, stunning fit and finish coupled with excellent customer service, the New Capital Open Burner Culinarian Series should be at the pinnacle of your shopping list. 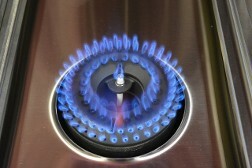 Open Burners give you more control and vastly improved heat distribution over a sealed burner range or cooktop. Gas Ovens produce moisture which is better for roasting and bread making plus many other baked goods. High heat open burners are far superior for wok cooking, searing and stir frying. A low even simmer will hold delicate sauces with ease. 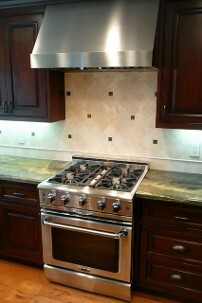 Open Burner ranges and cooktops are easier to clean than sealed burner ranges. The rotisserie in the main oven is just unbelievable. After 1 hour set at 350° F The average door temp is only 89.13° F, with a 78.9° F. Ambient room temp now that is just so cool.